Good business decisions begin with in-depth market knowledge. How do your rates compare with your competitors’? What plans do your competitors offer? Did a competitor recently change plans or rates? Find out how you can get the market intelligence you need! 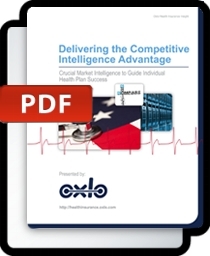 Complete the form to download the Oxlo Health Insurance Insight™ comprehensive product overview. Complete the form to the right to download your free copy today!